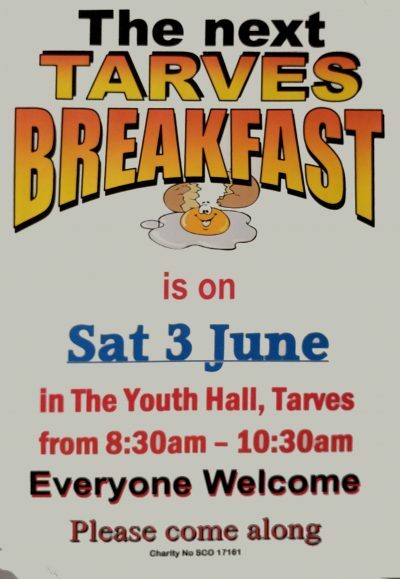 Come and join your neighbours and friends for the Tarves Breakfast. Sat June 3rd from 8:30 am. Start the day with boost…especially if you are going to the Pitmedden Music Festival later in the day! !